Water is central to life. Concerns for water and the quality of water are often a central focus of place-based activities. Many schools and community groups have become active in monitoring water flows and water quality. The example to the right demonstrated how a community along with many other groups have become involved in becoming stewards of a local watershed. In Canada, the responsibility for water management is shared by the federal, provincial, and municipal governments, and in some instances, by Aboriginal governments under self-government agreements. For the most part, waters that lie solely within a province's boundaries fall within the constitutional authority of that province. The waters flowing in the national parks, First Nation reserves, and other federal lands come under federal jurisdiction. The federal government is also responsible for waters that form or flow across the international boundary between Canada and the United States, and for waters in the Northwest Territories and Nunavut, with the exception of certain limited authorities for Aboriginal governments as defined in self-government agreements. The shared responsibility for fresh water in Canada necessitates close cooperation and collaboration among all levels of government, Aboriginal peoples, and the public. The second example is centered around an elementary school who became stewards for a stream that passes by their school. This example shows how a school can get involved, and in doing so, engage students, develop citizenship, and assist in stream restoration. "WATERDROPS" provides a great set of resources for others who would like to use an integrated approach to a place-based activity focused on water stewardship. Many schools have become stewards of local water bodies and/or local drainage basins. These have involved students in a wide variety of activities. These stewardship initiatives have included monitoring, restoration, community involvement, and action. These have also involved students in many different types of studies adding purpose to their school curriculum. 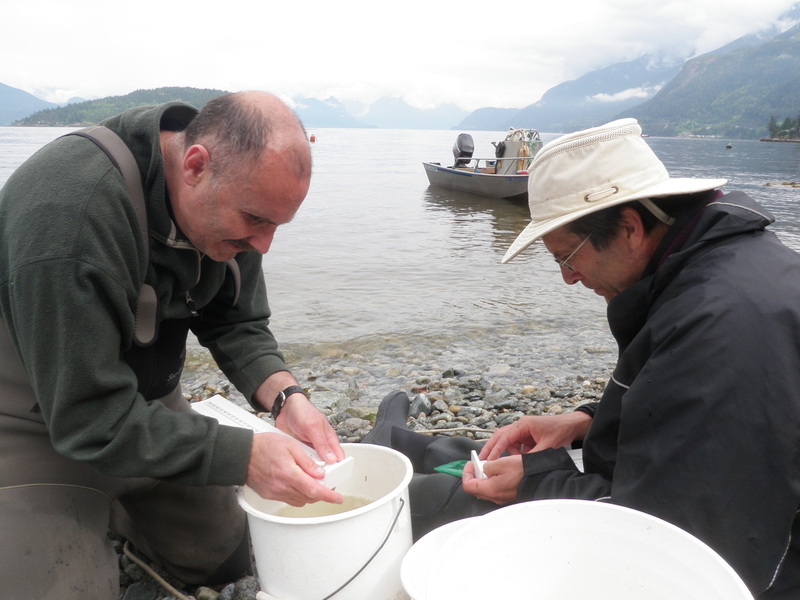 The Squamish Watershed Society (SWS) is committed to enhancing and preserving the integrity of the Squamish Watershed. The SWS is an environmental non-profit group that has been working on watershed restoration, education, outreach, and community stewardship projects since 1998. Look over the site, check out how extensive the web of partnerships has been developed. This is a great example of how schools can join in on well-established activities. Hydrology: Keeping track of the water that comes from precipitation, water that evaporates, water that goes into ground water or emerges from the ground, and water that runs off the surface or is accumulated in basins. These studies generally focus on drainage basins which are defined by the land included within the limits of the water that drains into a focus river or lake. This is divided into three study topics. Click on the topic you wish to follow. Water Quality: Studies on the quality of water typically examine the chemicals found in water, the pollutants found in water and the health of aquatic organisms in a water body. Combinations of such studies provide insights into the quality of water in a drainage system.